As we know, F1 does like to exist beyond the looking glass. 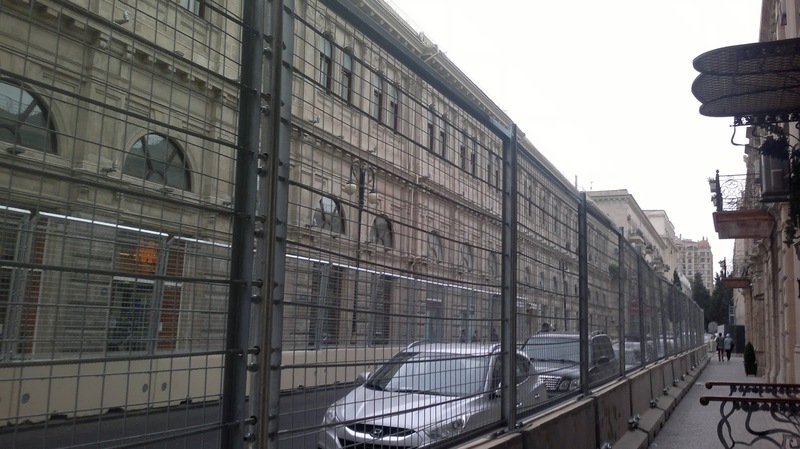 Twelve months ago the sport rocked up to a new street circuit in Baku, Azerbaijan, expecting something "not like anything we've seen before in F1". Certainly its challenges looked different. A real downtown circuit. Plenty of forbidding walls. Much of it claustrophobic with a twisty narrow section around the castle reminiscent of Mirabeau-Station Hairpin-Portiers at Monaco. But also a 2.1 km straight longer even than anything at Monza. In the event much was familiar though. 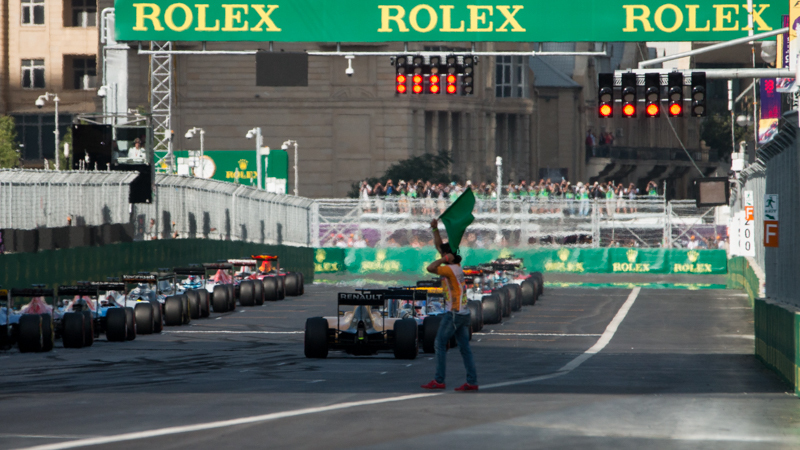 Based on the GP2 races we expected frolics aplenty - safety cars and trips down narrow escape roads making it a lottery. Also there was an ultra generous DRS zone with even quicker cars vulnerable to being overtaken, particularly on restarts. All making it a matter of survival. F1 qualifying was something like that. The F1 race though was soporific. 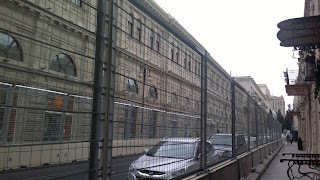 There were no safety cars and scarcely even any contact with a wall or opponent. With this a few wondered if the F1 drivers having seen the fun in the junior formulae simply were ultra-cautious. Some uttered 'typical Tilke' at the layout, or pointed at the smooth new asphalt that worked against a tyre degradation variable. Others wondered moreover if it reflected an F1 wherein drivers were required to proceed well within themselves. Perhaps with a formula now more as nature intended we'll get the fun this time a year deferred. Also typical was that the race's existence owed more to the political than sporting enthusiasm, including seeking to sweeten a highly iffy local human rights record. Even by the usual standards the attendance in the stands was pitiful, reflected by FOM's concerted effort to keep cameras pointed elsewhere. At least this time it's dropped its fatuous - and entirely political - European Grand Prix nomenclature. With the new ownership more minded of organic existence however one wonders about the race's longer term future. 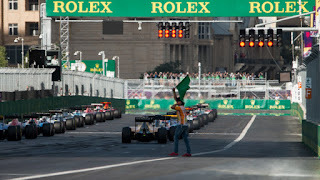 Despite the usual attempts in the inaugural visit to find parallels - as well as Monaco the likes of Montreal, Sochi and even Macau were mentioned - the Baku challenges are indeed unique. The combination of the extended flat out blast and twisty stuff elsewhere rewards both a strong engine and good mechanical grip. Twelve months ago that meant Mercedes, but this sort of challenge - throw in a low grip surface and slow turns - has flummoxed Merc in 2017. 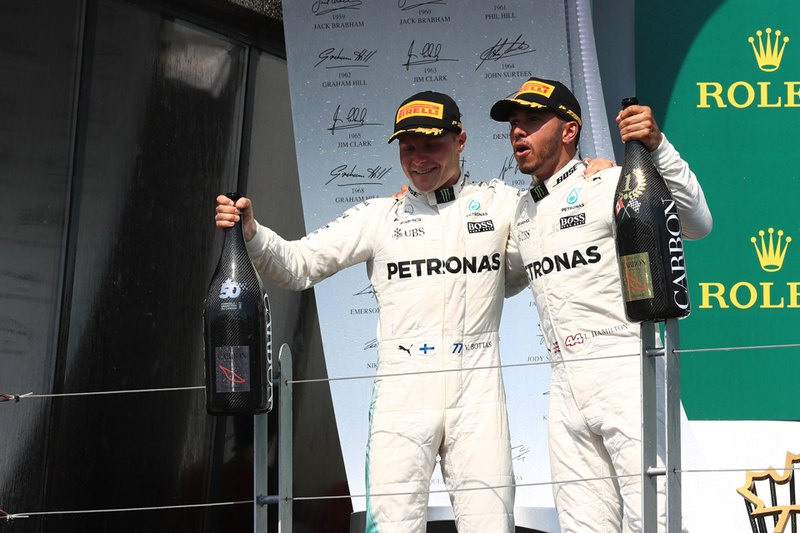 In Montreal it appeared to find an answer at last, and this weekend in Azerbaijan will go a long way to confirm whether Merc has indeed landed on a solution. That the track is more Montreal than Monaco will encourage the Brackley team. Then again last year Merc failure in Baku related to more to Lewis personally rather than to the car or team. 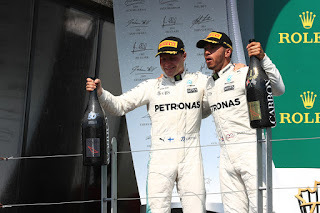 Nico Rosberg indeed qualified on pole by almost a second and disappeared in the race. Lewis meanwhile dominated on Friday - which made sense given this sort of track is up his street (pardon the pun). But come Saturday he was off it and spent qualifying visiting several escape roads before binning it properly. His race we need not go into again. Another Lewis off weekend in this one would be ill-timed after the team's Montreal gains. Ferrari meanwhile we know will be right there - its car is good on all tracks and Sebastian Vettel appears to be in one of his relentless modes. He showed up pretty well here last year too. For Red Bull, even with its recent improvement, this may be one to get through. It will view the long straight with foreboding; last year it trimmed the car out as a result but it meant problems with tyre graining from the car sliding in the twisty stuff. The track is tough on brakes too and the Bulls have had problems with those also this year. Force India is well worth watching though, as its slippery car goes well at this sort of track. 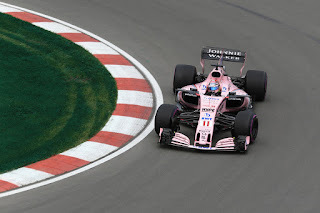 Last year indeed Sergio Perez set the second fastest qualifying time (albeit had a gearbox penalty) then finished third. Then we have how well the pair went in Montreal. Last year's split of strategies between one stop and two is unlikely to be repeated. The tough Pirellis provided easy one-stoppers even with softest compounds in Monaco and Montreal (indeed Romain Grosjean did an effective no-stopper in Canada) and in Baku it's likely to be repeated. Even last year one-stop proved the way to go as the top six finishers all employed it and the compound selections this time are the same, and therefore even more cautious than 12 months ago. Like then (and unlike Monaco and Montreal) the ultrasoft has been shunned. This may aid Mercedes. However early race tyre graining gave a few a bum steer last time, including Kimi Raikkonen as well as both Red Bulls who all stopped early to resolve it. The secret was to not panic and drive through it. Temperatures are expected to be hot in Baku and generally this year such an ambient has slightly benefited Ferrari over Merc. While we can forget about rain, as it's less likely than in Bahrain. An anticipated variable last year that never arrived though was the wind, with unexpected gusts from the nearby Caspian Sea notorious. Baku is unofficially known as the 'City of Winds'. So there are plenty of reasons to expect more fun than in the first visit. Then again there could hardly be less.